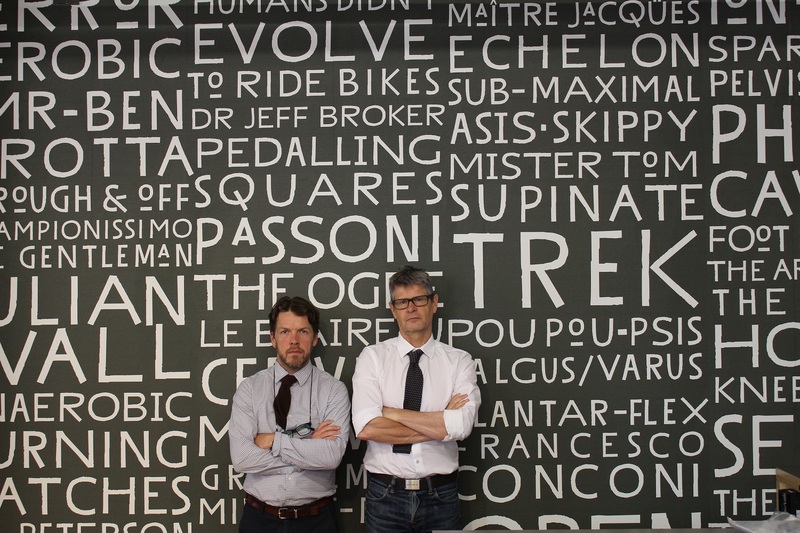 "Human’s didn’t evolve to ride bikes" – We remind ourselves of this every day. 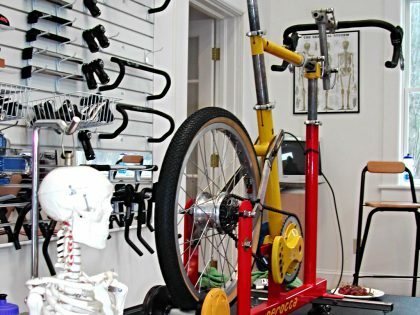 "The coalition of the willing” - to share and learn together – surgeons, osteopaths, physios, podiatrists, injured riders, massage therapists, bike-builders, academics – etc. “Always be collegiate” – One of us would never have had the horse-power to even start this quest, never mind finish it. Two minds are better than one and three are generally better than two. “Share your recipes” – We determined always to be chefs that share their recipes. Owning knowledge is never as much fun as sharing it. Besides we had so much to learn from our generous teachers. 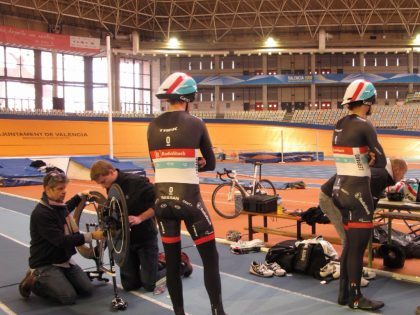 "Never be defined by technology" - To be honest this rule came a bit later (around the time our friends invented Retul). But the intelligence around fitting has always wowed us more than technology. In that sense we have always wanted to be masters of technology and never enslaved by it. “I don’t know” Never be afraid to say the magic words “I don’t know”. There is no shame in not knowing, only in pretending you do. "We have always wanted to be masters of technology, not slaves to it." 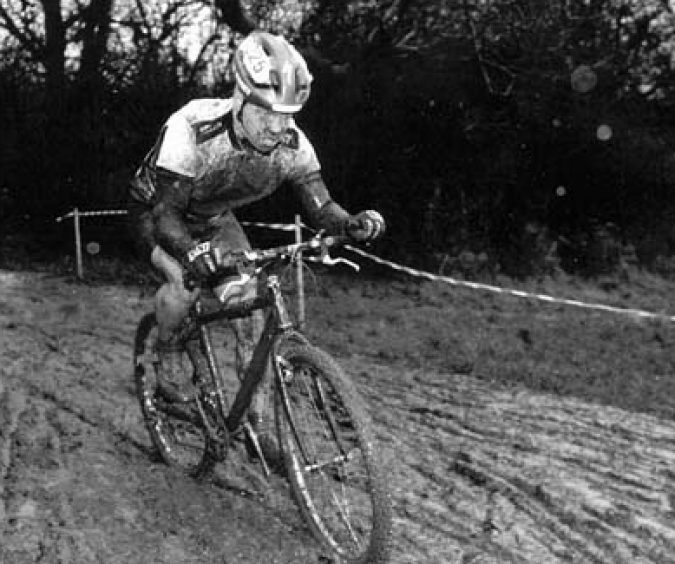 A common sight racing in the 1980's. Everything we have raged against for two decades. Just because you can fold your body in two doesn't mean you should. Phil was later to learn this. 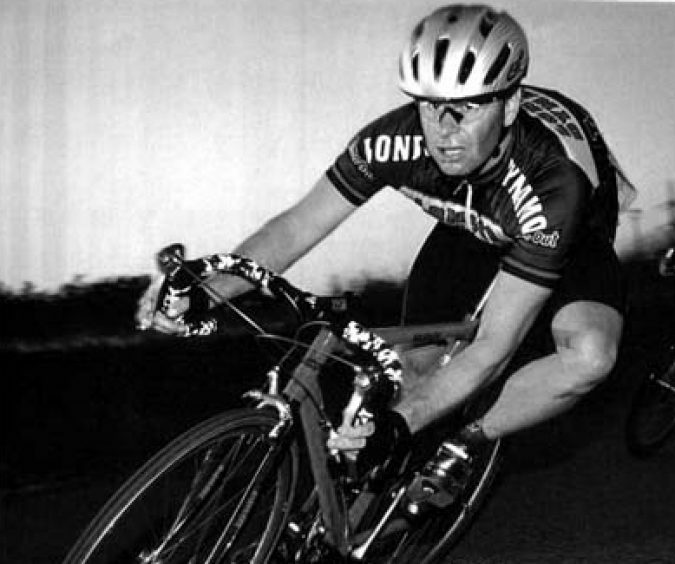 1997 – Bring The Bike to The Body Stupid! Julian’s design-oriented brain makes the leap first. 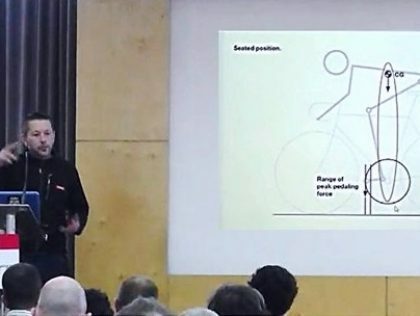 The body ‘receives’ the position from the symmetrical bike. 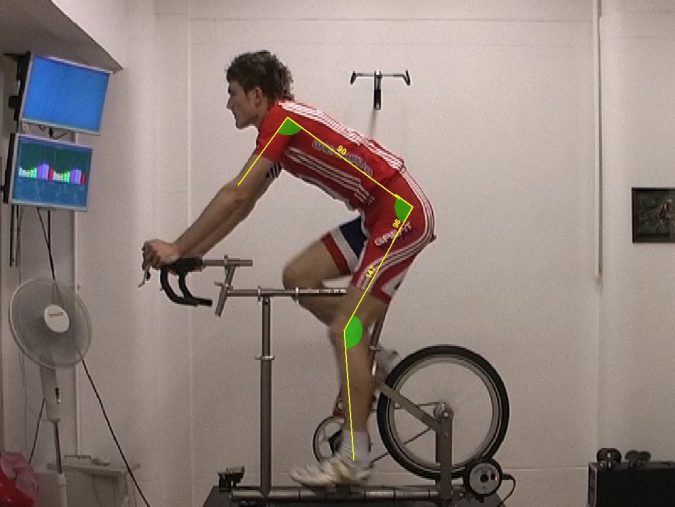 Evaluate and document the body’s constraints and then bring the bike to the body not the body to the bike! 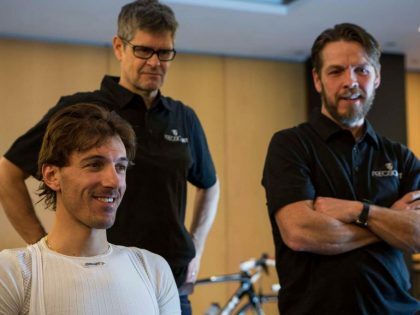 The two went on endless sports anatomy and massage classes to better understand the cyclist’s body’s function and constraints. 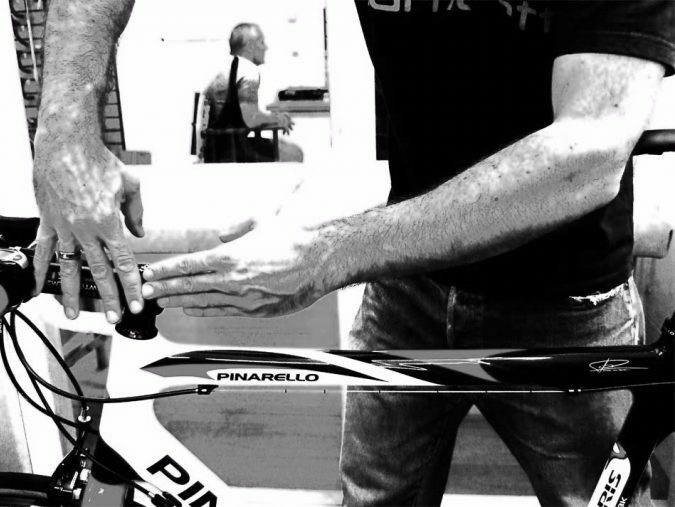 Phil meet Ben Serotta when he reviewed The Serotta Ottrott for Cycle Sport Magazine in San Diego. 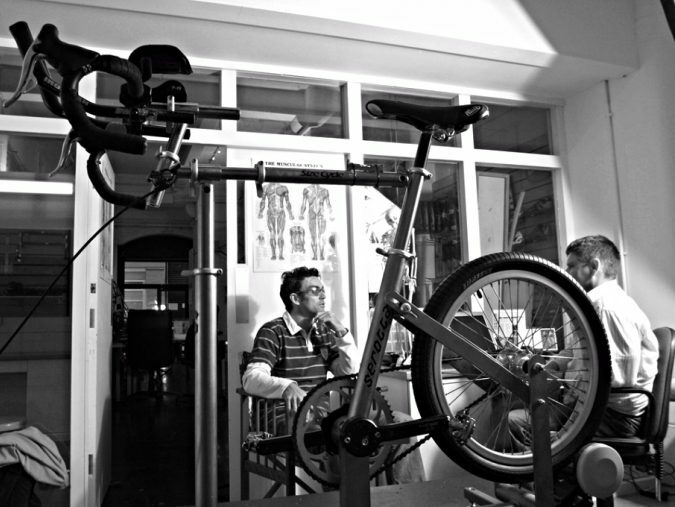 Ben tells of his own frustration synchronising the human body with his own custom bicycles. 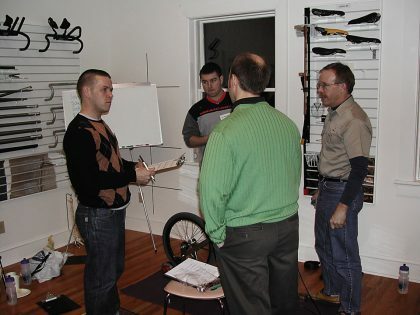 Ben’s response was to consult with a doctor colleague before starting The Serotta School of Bike Fitting in 1997. 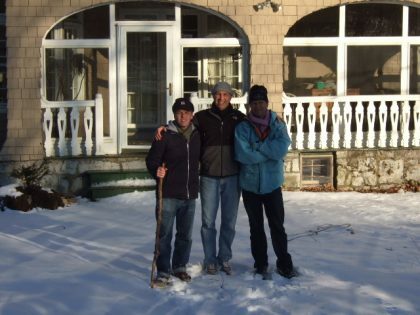 Jules and Phil attended the School in New York and graduated the Advanced Class. 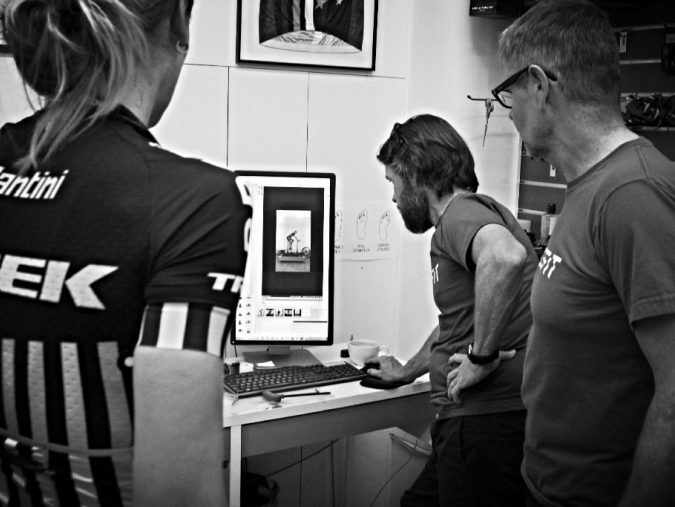 The Serotta Elements and Advanced Classes and Jules and Phil’s own research and study were huge milestones in authoring the Cyclefit process. But the pair wanted to go further and for them the mixing piece of the puzzle was foot control. They commissioned private courses from Paul Swift (inventor of LeWedge). Paul flew to London in 2001 to work one-on-two with Jules and Phil for an extended period teaching them foot-canting mechanics and leg-length compensation. 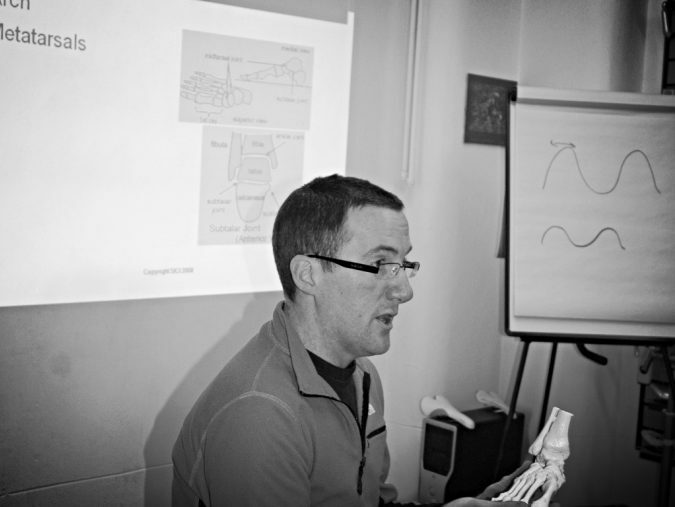 Dr Dave Hulse teaching at Cyclefit School. Dave was an early collaborator. 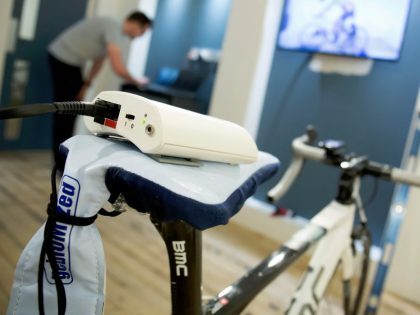 Cyclefit opened in Covent Garden as Europe’s first centre devoted to modern bike-fitting and cycling-analysis. To some we were snake-oil peddlers, or at best a solution to a non-existent problem. But to others we were the rational missing piece of a puzzle that was causing them injury, lack of performance or discomfort. 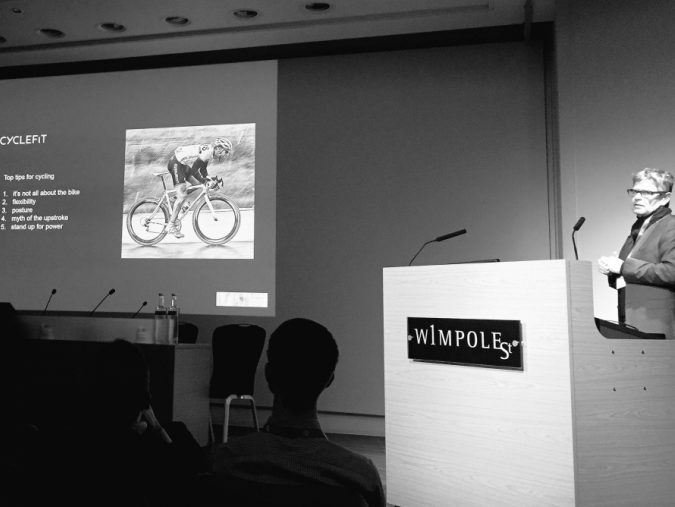 Early adopters included professional road-racer, Nicole Cooke and professional triathlete, Andrea Whitcombe. 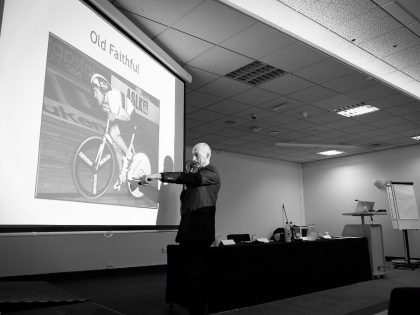 But we also had Joff, who had been thwarted in his first attempt to ride around the world on his home-made penny farthing and hundreds of members of the cycling public looking for an improvement in their relationship with their bike. By the end of 2003 Jules and Phil had a six-week waiting list for the first available appointment! 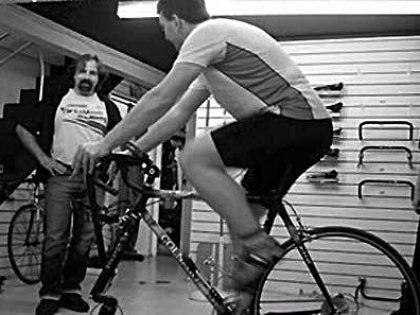 Phil works with Marcel Wust 2004 - a Cyclefit today still starts with a thorough interview. 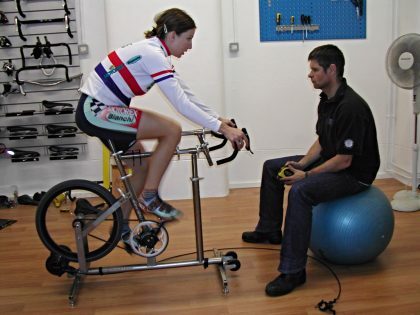 A Cyclefit is a 'consultation' in the truest sense. Our Serotta Size-cycles were in daily use from 2001-2011. Cutting edge in their day. We were convinced that we needed to stabilise the foot in the shoe before we stabilised the foot on the pedal (we still believe this by the way). 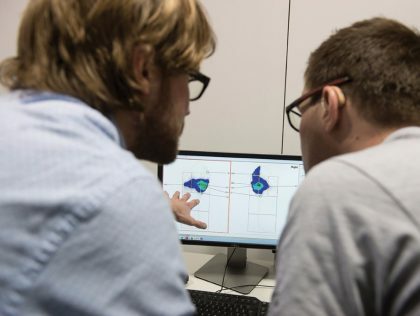 This led us to becoming the first company in the UK to offer custom moulded cycling insoles and a long partnership with Sidas Podiatech from France. 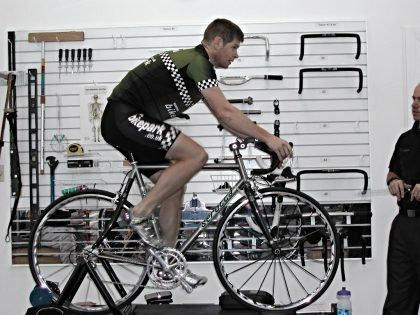 Cycling Weekly were so impressed they gave our Cyclefit custom footbeds and immediate 10/10. 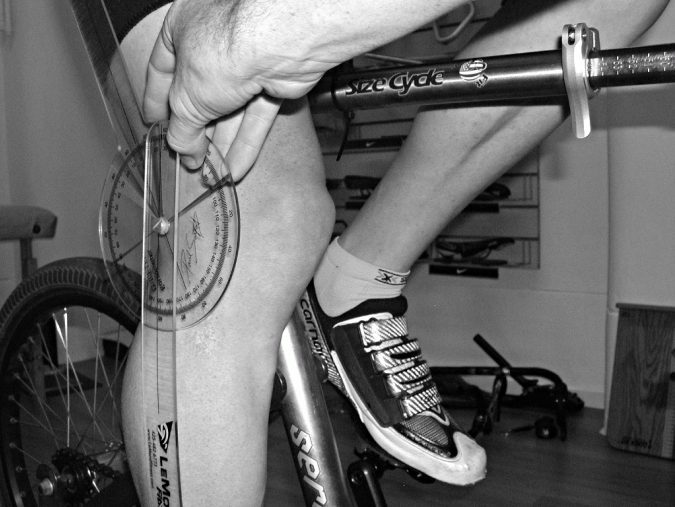 We are now on our 8th design iteration of Cyclefit conformable insole. Twenty years staring at cyclist's feet. Phil many years younger! 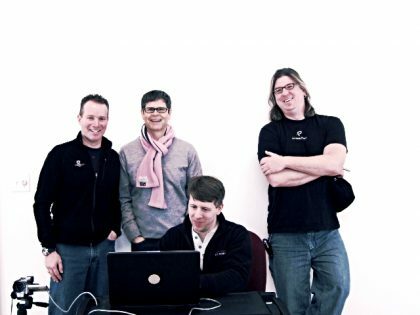 In the early days we were considered to be a solution to a problem that didn't exist. But to many who were overcoming injury, discomfort or a performance plateau, we were also worth a try. Early adopters were triathlete Andrea Whitcombe, multiple National MTB Champion Jenny Copnall and Pro rider Nicole Cooke. Nicole came to us on the comeback trail after a knee injury and subsequent surgery. Nicole was one of the most professional and inclusive riders that we have ever worked. An inspiration in the way she approached her craft and interacted with those around her. She pushed us to think deeper and work harder on her behalf. We were honoured to be remembered when she won Olympic gold at Beijing. Andrea came to Cyclefit before we even built the studio! Phil with Paul Levine, Chris Soden and Ian Buchanan. Four of the original Sultans of Fit! The Sultans of Fit made a determined effort to meet up once a year to push forward the subject on the basis of collective learning. 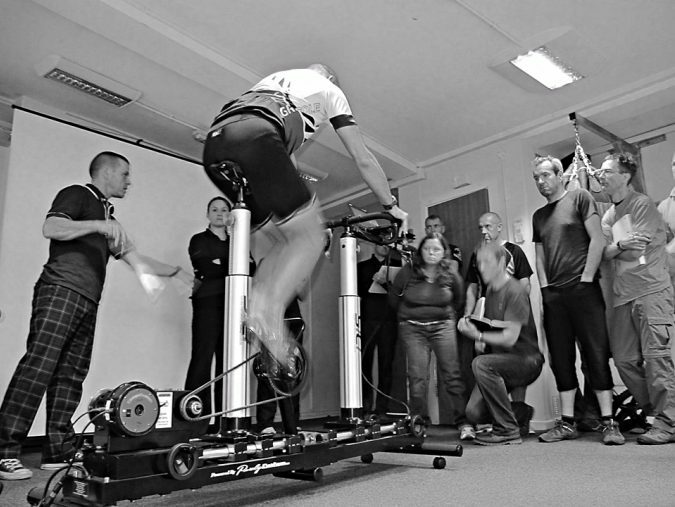 Cyclefit started the first European fitting school in 2009. Remember we always vowed to be chefs that shared our recipes? 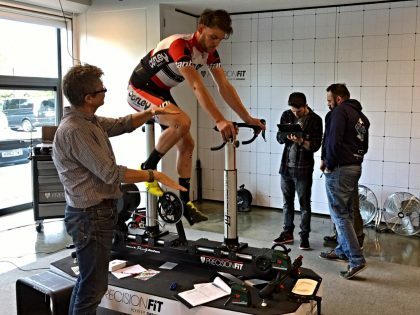 Over the last eight years Cyclefit has hosted courses in: bike-fitting, foot-mechanics and adjustment, pressure-mapping and motion analysis. Day 2 of class and the pressure increases! 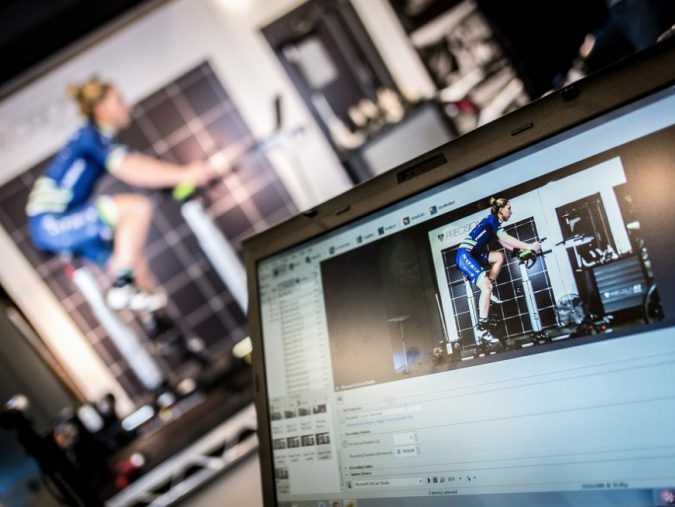 Cyclefit has been working with Trek since 2009 to devise and deliver a practical fitting syllabus and Trek Precision Fit service in the UK and then from 2012 all over the world. 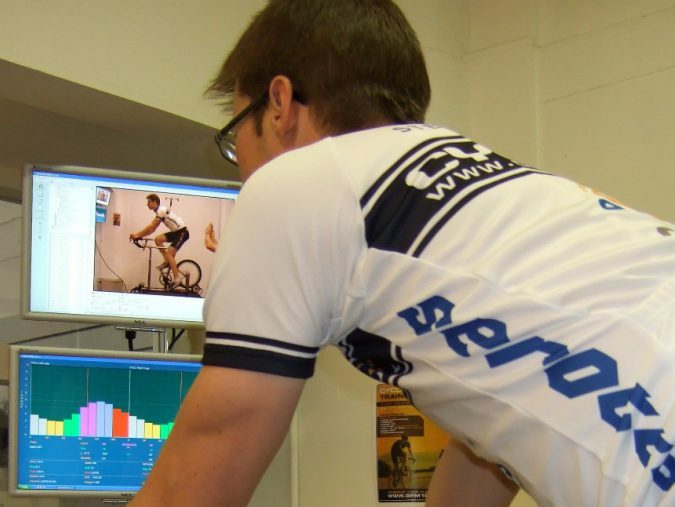 Trek have a cutting-edge teaching facility at their head office in Milton Keynes. Trek classes have trained hundreds students at the time of writing and is therefore making a huge contribution to raising industry standards. Trek Precision Fit classes work well with Trek's customisable Project 1 product. Cyclefit is proud to represent Trek Project One road and tri bikes at Covent Garden. 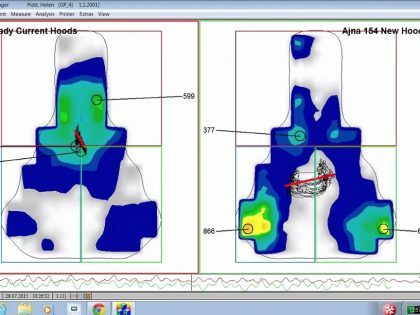 Cyclefit became the first fitting company in the UK to use saddle and foot pressure mapping by our good friends gebioMized from Munster in Germany. Pressure mapping is essential in world-leading fitting studios to put accurate contact metrics to pressure that clients are reporting. 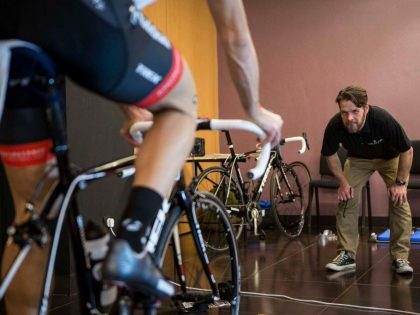 As Team Radioshack becomes Trek Factory Racing at the end of 2012, Cyclefit is retained to provide professional cycling analysis to the team. 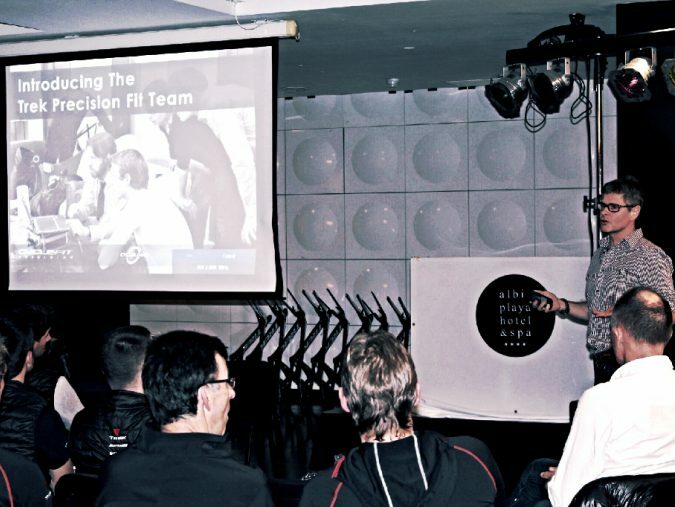 Jules and Phil led a small team from Cyclefit to bring in client-centred, audit-led, best-practice to riders such as: Fabian Cancellara, Jens, Voigt, Frank and Andy Schleck etc. We maintained this support for TFR and later Trek Segafredo until 2016. It was a wonderful experience to be embedded within the team for all those years. Every day had to be your best day when working for a legend like Fabian. No detail ever left unexamined. Inspirational! We were immensely pleased to be asked to support Matrix Pro Cycling elite women’s cycling team in late 2014, going into their 2015 season. 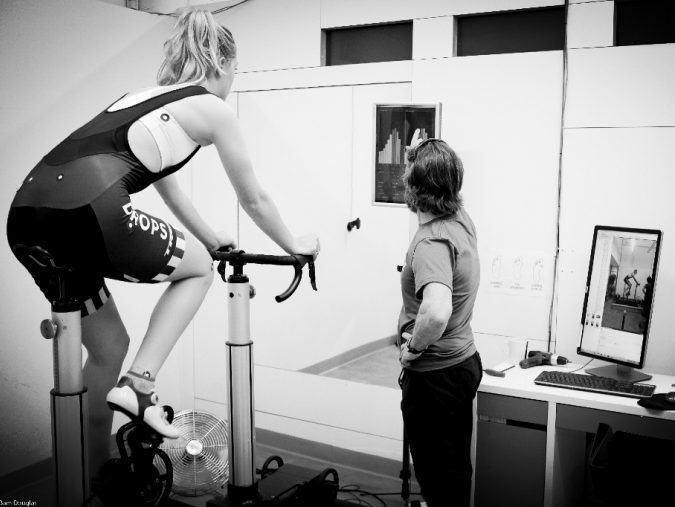 Cyclefit is fast approaching parity between men and women clients, because of an explosion in women's competitive and fast recreational cycling. 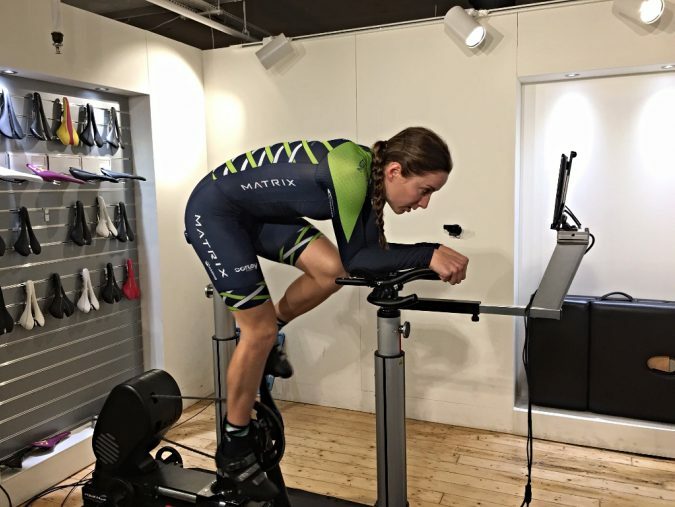 Working with Team Matrix and latterly Team Drops has driven us harder to make women everywhere faster, more effective and comfortable on their bikes, whatever kind of riding they are doing. 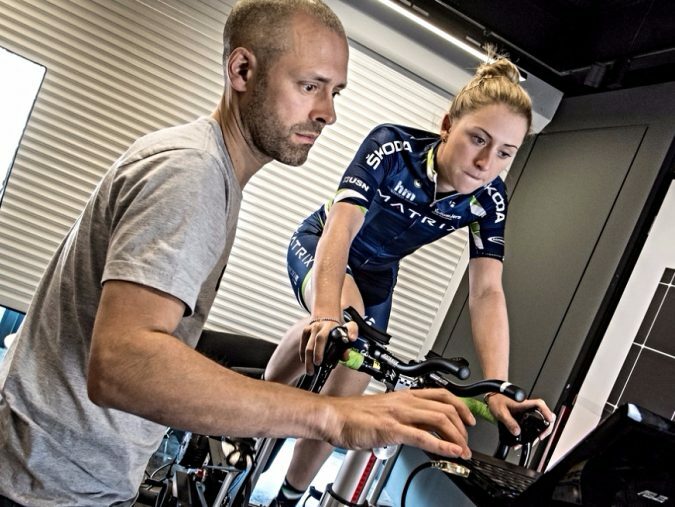 Cyclefit signs a three year Technical Consultancy with Trek Bicycles to lead the introduction of a world-wide syllabus for Trek Precision Fit and also provide cycling analysis and fitting for Trek’s professional cycle teams, including Trek Factory Racing. Often two minds are better than one. Just like 22 years ago! 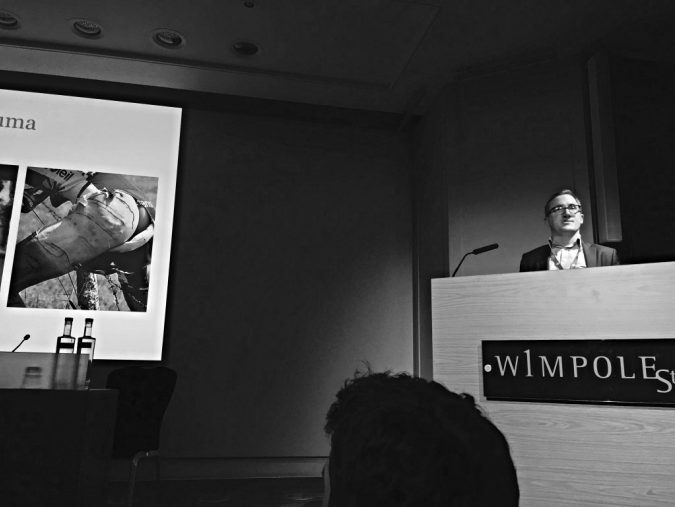 It was fantastic to be invited to speak at The Institute Sport Exercise and Health Conference at Royal Society of Medicine, Jan 2017, by organsiser Dr Courtney Kipps. 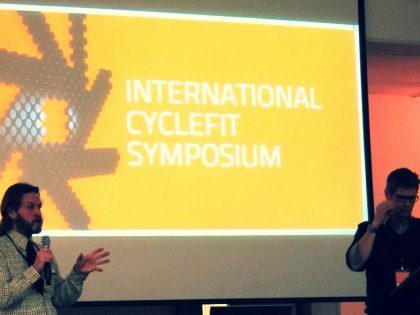 Sharing a cycling injuries module with colleagues Dr David Hulse, Michael Crebbin (physio) and Dr Courtney Kipps, showed how bike-fitting can absorb responsibility for tracking underlying se in cycling and triathlon injuries.